Tales from the Buddha's Life resolve all problems that I have lived with ever since I first came across words and phrases as life's mysteries, and the Buddha's Enlightenment, and freedom from the circle of birth, life and death. What dismayed me throughout my childhood, and left me wondering was whereas many had been credited for having striven to solve life and the universe's mysteries, the problem perpetuated. Worse, even the most electrifying of such achievements as that of the Buddha's enlightenment did not seem to get me anywhere near the answer. 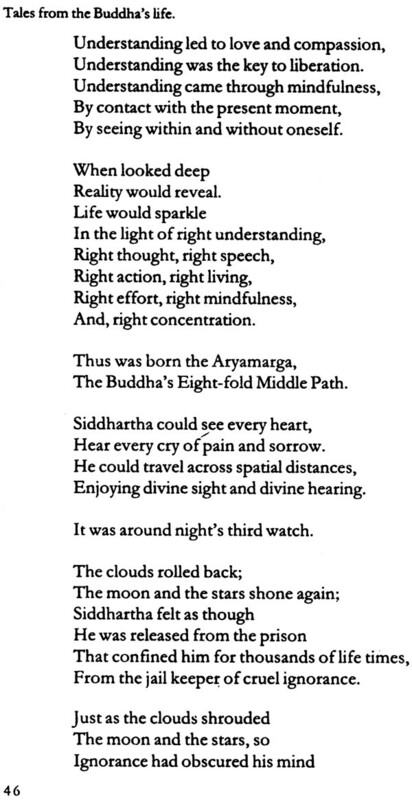 I wondered for years what Siddhartha might have gone through at the precise moment of Enlightenment. And as I lived half-convinced of the Buddha's spell, gathered from stray literature that had come my way, my certitude suffered another blow when I read he had died, at eighty, of food poisoning. Where was the liberation from birth, life and death? And, then, I delved into literature till the truth was revealed to me in no uncertain way: Light Unto Yourself! The enlightening revelation: Dispel the darkness of ignorance under whose cover breeds dichotomous outlook of life---birth and death, pure and impure, increase and decrease; and flourish anger, arrogance, doubt, jealousy and fear. Use the microscope of meditation diligently to understand life and universe's realities of impermanence, interdependence and empty-of-self (eos) nature of things. Since knowing is not enough I endeavored to live what I had learnt. The result was a quest for a blissful holistic living, aware of my own being in everything else, and that of everything else in me. Questions of life and death; and discriminations began to lose their meaning. Born on April 4, 1961, in Kullu valley, P. C. Bodh graduated from Himachal Pradesh University, India, in 1981, with English literature, Economics and Geography, and studied Economics in Panjab University, Chandigarh. He is working as a Deputy Adviser in Planning Commission, Government of India, New Delhi. His Encounter with holy Kailash and lake Mansarover in the Tibetan summer of 1997 brought out his poetic and spiritual self in Mount Kailash and the Wonder Lake a travel book in verse. 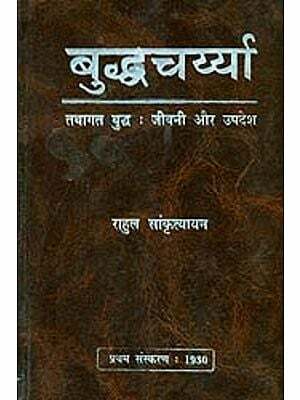 Besides hi s published poems, stories, articles he has a finished novel, The Eternal Journey to his credit. 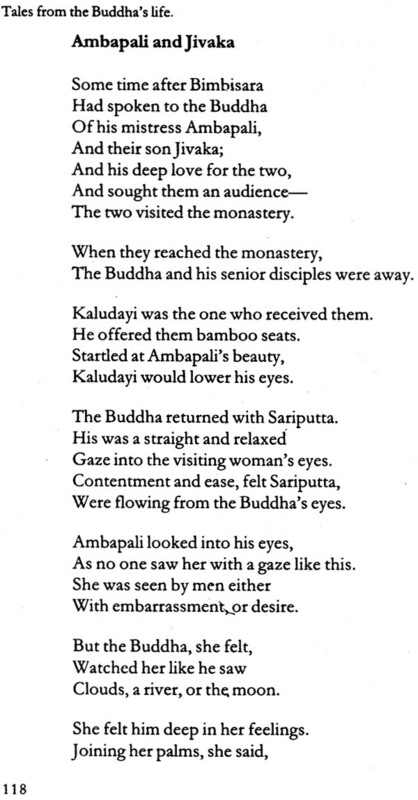 The life and the journeys of the Lord Buddha exquisitely portrayed in verse. From his birth in Lumbini to his Parinirvana in Kushinagara the author allows us to walk step by step along with the Buddha through the various stages of his life. A moving portrayal of an historic event that had worldwide ramifications and has continued to have an impact on lives through the ages. All stories associated with him have fascinated millions for more than two and a half millennia. They tell us of an age when ignorance abounded, cruelty and slavery were commonplace and a lack of compassion especially to the weak and downtrodden was very apparent. It was a time of conquest, conspiracy and expansion on the part of princes and kings who were never satisfied with their lot. These stories relate to the Prince Gautama, his im-maculate conception and birth, his confrontation with the plight of humankind and of his search for the highest truth, realisation, and the spreading of the Dharma.